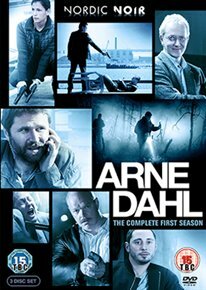 All episodes from the first series of the Swedish crime drama based on the novels by Arne Dahl. In this season, Detective Jenny Hultin (Irene Lindh) and her team known as A-group investigate various cases including the death of a family as a result of a car bomb and an apparent suicide victim discovered during a break-in. The episodes comprise: ‘The Blinded Man: Part 1′, ‘The Blinded Man: Part 2′, ‘Bad Blood: Part 1′, ‘Bad Blood: Part 2′, ‘To the Top of the Mountain: Part 1′, ‘To the Top of the Mountain: Part 2′, ‘Many Waters: Part 1′, ‘Many Waters: Part 2′, ‘Europe Blues: Part 1′ and ‘Europe Blues: Part 2′.